Now that "Bohemian Rhapsody" has surpassed 700 million dollars world wide and could approach a billion in revenue after all is said and done, you know Hollywood is looking for a repeat. This movie has generated crazy profits for 20th century fox. Every other studio is looking for a rock biopic. We'll have Motley Crue and Elton this year, and a Journey movie just got approved. My bet is within the next 6 months, an offer will be on the table of the VH brothers. The Noel Monk book, even with all its flaws, facilitates the work for screenwriters. They love nothing more than when you already have some already existing starting point. They'll be facing a dilemma. On the one head, the possibility of making a boatload of money, with relatively little actual work. It would jumpstart sales, radio play, etc, etc. Make the band relevant again. On the other hand, any VH biopic is going to make them look, at times, like idiots. Last edited by Little Dreamer; 02.04.19 at 10:39 AM. I think the CVH era is prime for a film. First act is the formation and release of the first album, second act is '79 building up to the release of Jump and the kick off of the '84 tour, final act is all the drama of the breakup in '85. The film ends with Eddie picking up the phone. "Wait, who is this?... The guy from Montrose?" Yeah, this will never see the light of day. There's no way on god's green earth that the brothers would ever sign off on something like that and I doubt Dave would either. Not a chance. They won't even sign off on an official autobiography, much less a movie. Besides...again, lol... Queen is huge in the public eye. VH is not. There's no audience to warrant such funding. I hadn't heard a Crue or Journey biopic was given a green light. I dunno if those are gonna make any money either. Ehh, maybe Journey. People still love them. I heard DSB is the most popular rock track in the world....not via downloads, but via popular airplay at venues, elevators, bars, or anywhere else you pipe in rock music. Straight to Netflix doesn't necessarily mean "small," nowadays. Netflix is also funding the next Scorcese movie this year, and that's a huge movie. You could end the VH movie in 2008 with Roth back, Ed happy with his son and remarried and sober. Yes it's a simplification of reality, but Hollywood does this all the time. They'd simplify and change things to make the movie smoother. VH was a visual band, so there's lots of possibilities. You can't do a movie about Rush, for example, as there's zero drama. VH you can. Thrashing of hotel rooms, ppl jumping from rooftops into pools, US festival, marriage with TV stars, DLR mountain climbing/jungle visiting, Sammy at Claudio's getting his car repaired - the movie pretty much writes itself. Let's see if the bros like their privacy or their money/legacy more. Last edited by Little Dreamer; 02.04.19 at 11:28 AM. And with the way Hollywood works, they could even combine the reunion and ADKOT tours into one and make it seem like they happened at the same time. A triumphant reunion coupled with a critically acclaimed comeback album. Going by the Queen movie, you'll pretty much only hear the hits in the movie. So no ADKOT. Pretty sure nothing after "Right Now" which is the last single that charted in a major way. The Elton flick will be a hit if it's done well. Crue film will have an audience of 3 and Journey maybe 6. For one, Dave and Ed still believe that Van Halen is an active, fluid band. Why would they ever sign off on a biopic that highlights the past when they believe they are still relevant. Anyway, I don't wanna see a VH version of Bohemian Rhapsody. That would just be a better acted version of that crappy thing that was on SpikeTV last year or whatever. Except like BR, it would have Dave and Ed break up in 1980 and then get back together just to play US Fest. Or some other Hollywood BS to make everything rosey. Pass. The better option would be a biopic about Edward. Like Ray, or Walk the Line. Let Dave and Sam and even Al be side characters/stories in his life. A dark film about Ed growing up, moving to America, dealing with alcoholism and fame, marrying a celebrity, and being such an influential musician, and almost not making it out of his 40s. I think all three of those assertions are pretty accurate. 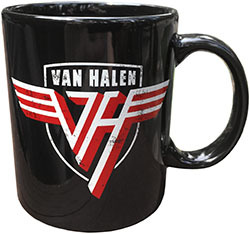 Like it or not, in the public eye VH is defined as much by its numerous breakups as it is by its music. So the years 1984, 85 and 86 will have to be in there.